A Langebaan nightlife web page would be incomplete without mention of Flamingos Nightclub, the tackiest, funniest nightclub on the West Coast. I am more or less at a loss for words to describe the highly entertaining place that is Flamingos Nightclub. Part of me wants to have my next birthday party in Langebaan so that we can experience this nighlife sensation. Finding Flamingos Nightclub is easy. Once you’ve turned off the West Coast Road (R27) towards Langebaan, you will see what looks like a derelict warehouse on your left about 3 km out of Langebaan. This is Flamingos Nightclub, the hub of Langebaan (and indeed of all the West Coast) nightlife. During the holiday season and on weekends, Flamingos comes alive. Local farmers and out of town visitors mingle in Flamingos to music that ranges from remixed 80s to weird afrikaans music, whilst a plethora of laser lights, disco balls and smoke machines transport you into a fair imitation of Dante’s inferno. The alcohol is cheap, and there are also pool tables. Don’t expect the pool table surfaces actually to be flat. Flamingos Nightclub is truly an experience not to be missed when visiting Langebaan! Address: Finding Flamingos Nightclub is easy. Once you’ve turned off the West Coast Road (R27) towards Langebaan, you will see what looks like a derelict warehouse on your left about 3 km out of Langebaan. Flamingos Nightclub is truly an experience not to be missed when visiting Langebaan. 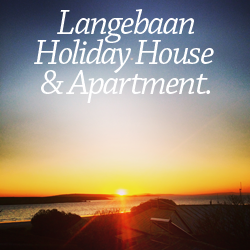 What to do in Langebaan.